Victorian romance mixes seamlessly with elegant prose and biting wit—and werewolves—in Gail Carriger’s delightful debut novel.Soulless introduces Alexia Tarabotti, a parasol-wielding Londoner getting dangerously close to spinster status. But there are more important things than finding a husband. For Alexia was born without a soul, giving her the ability to render any vampire or werewolf completely powerless. 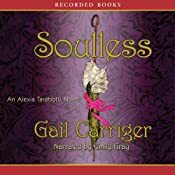 I had read and reviewed Soulless by Gail Carriger previously on this site. 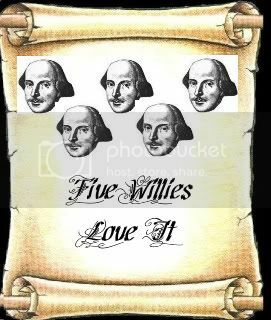 Click here to read my review of the book. Even though I loved Soulless I had not continued on with the series right away. Since a year had passed I decided I wanted to 're-read' this book. I downloaded it from audible and was not disappointed. Emily Gray narrates this fantastic book. She really seem to capture the wit and humor of Alexia Tarabotti. Listening to this novel brought to life the words of Gail Carriger. Gray reads how I imagined Alexia to sound in my head. 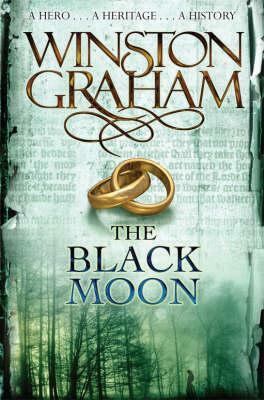 I especially liked hearing the heated exchanges between Alexia and Lord Maccon read aloud. There are some blush worthy scenes in this book. Gray does a fantastic job with giving each of the characters their own voice. This is definitely one of the best audio books I've come across. If you've not had the chance to read Soulless yet you need to. It has mystery, romance, werewolves and steampunk. It's a highly enjoyable book. I'd never thought to look for the audio version of Soulless. I'm glad to hear they picked a good narrator. I'll have to see if the library has a copy because I loved that book. Mandroid, I think you'll really enjoy listening to it. I hope your library has a copy. This book has been on my shelf for a Loooong time, I think I might give it a read now ! Jess, Do it! It's a really great book. I highly recommend it.